I am a Professor Emerita/Adjunct Research Professor at the Faculty of Education, UWO, whose initial research area involved first and second language acquisition, and issues of teaching and learning second/foreign languages. I was the senior author of the French text series En français s’il vous plait and also worked at times on contract for the Ministry of Education developing curriculum guidelines for French as a Second Language and International Languages. I have been active in the Ontario Modern Language Teachers’ Association and was awarded a Life Membership in 2000. Before joining a faculty of education, I taught secondary school French as a Second Language and German. I have a long-standing interest in comparative and international education, especially with regard to how globalization has affected education systems in Canada and elsewhere. I have made numerous presentations and published several articles in the area and have co-edited one volume of a twelve-volume book series: Globalisation, Comparative Education and Policy Research, to be published by Springer Publications; namely, volume 2, Comparative and Global Pedagogies: Equity, Access and Democracy in Education, (2008). I have also co-edited with Drs. Joseph Zajda and Val Rust a special issue on Education and Social Justice of the International Review of Education 52(1-2) (2006) which also appeared as in book form, published by Springer. Education and Social Justice and included selected articles developed from papers presented at the 12 th World Congress of Comparative Education Societies which took place in Havana, Cuba, October, 2004. After the 13 th World Congress, held in Sarajevo, Bosnia, I co-edited with Christine Fox and Adila Pašalić Kreso a special issue of the International Review of Education, Volume 54 (1-2) (2008) entitled Living Together: Education and Intercultural Dialogue,which was also reprinted by Springer as a stand-alone volume in 2009. The issue featured selected papers from the 13 th World Congress. After the 14 th World Congress, held in Istanbul Turkey, June 2010, I co-edited with Christine Fox and Fatma Gök a special issue for the International Review of Education,Volume 57 (3-4) (2011) entitled Bordering, Re-Bordering and new Possibilities in Education and Society based on selected presentations from the Congress. The issue was reprinted by Springer as a stand-alone volume in 2012. The special issue of the International Review of Education: Journal of Lifelong Learning that I co-edited with Diane Napier and Norberto Fernández Lamarra, “New Times, New Voices” based on selected papers from the thematic group on Higher/adult Education of the 2013 WCCES in Buenos Aires appeared as Volume 60(4) 2014. I have also co-edited several volumes on Comparative Education for Sense Publishers. In June, 2013 I was honoured to receive the David N. Wilson Award for contributions to Comparative and International Education from the Comparative and International Education Society Canada (CIESC) at the annual meeting in Victoria BC..
From 2000-2003, I was involved in a large SSHRC project on the History of Women Teachers in Ontario (Principal Investigator, Dr. Rebecca Coulter). My area of the study, francophone women teachers in Ontario resulted in a number of conference presentations and several articles and chapters. More recently I have worked with colleagues in the Faculty on a large Ministry of Education project to investigate the feasibility of using the Common European Framework of Reference as an organizing principle for Ontario FSL programs. This project, completed June 2010 resulted in two major research reports and numerous conference presentations. I edited the journal Canadian and International Education Volumes 34-40, until December, 2011. Majhanovich, S., Fox, C. & Pasalic Kreso, A. (Eds.) (2009) Living Together: Education and Intercultural Dialogue. Dordrecht, The Netherlands: Springer (229pp). Zajda, J., Davies, L., & Majhanovich, S. (Eds.) (2008) Comparative and Global Pedagogies: Equity, Access and Democracy in Education. (Volume 2 of Globalisation, Comparative Education and Policy Research). Dordrecht, The Netherlands: Springer (232pp). Majhanovich, S. (2017) Final Thoughts. In M. Cristaldi, S. Majhanovich & G. Pampanini (Eds.) The Orbital Classroom. Global Teachers Committed to Global Democracy. Tehran-Iran: Nahj Al-Balaghah International Research Institute, pp.160-176. Majhanovich, S. (2016) Introduction. Educational Development and Education Systems in a Globalized World. In M.A. Geo-JaJa & S. Majhanovich (Eds.) Effects of Globalization on Education Systems and Development. Debates and Issues. Rotterdam: Sense Publishers, pp. ix-xxiii. Majhanovich, S. & Malet, R. (2015) Introduction: Building Democratic Education in Diverse Contexts. In Majhanovich, S. & Malet, R. (Eds.) Building Democracy through Education on Diversity. Rotterdam: Sense Publishers, pp. 1-13. Majhanovich, S. (2015) Globalization and Humanities in Canada. In Zajda, J. (Ed.) Second International Handbook on Globalisation, Education and Policy Research. Dortrecht: Springer, pp. 667-677. Majhanovich, S. & Geo-JaJa M.A. (2013). Economics, Aid and Education Implications for Development An Introduction. In Majhanovich, S. & Geo-JaJa, M.A. (Eds.) Economics, Aid and Education: Implications for Development. Rotterdam: Sense Publishers, pp1-11. Majhanovich, S. (2013) How the English Language contributes to Sustaining the Neoliberal Agenda: Another Take on the Strange Non-Demise of Neoliberalism. In Majhanovich, S. & Geo-JaJa, M.A. (Eds.) Economics, Aid and Education: Implications for Development. Rotterdam: Sense Publishers, ppl 79-96. Napier, D.B & Majhanovich, S. (2013) Introduction: Global Issues: Regional, National and Local Culture Case Studies. In Napier, D. B. & Majhanovich, S. (Eds.) Education, Dominance and Identity. Rotterdam: Sense Publishers, pp. 1-7. Majhanovich, S. (2013) English as a Tool of Neo-Colonialism and Globalization in Asian Contexts. In Hébert, Y. & Abdi, A. (Eds.) Critical Perspectives on International Education. Rotterdam: Sense Publishers, pp.249-261. Fox, C. Majhanovich, S. & Gök, F. (2012). Bordering and Re-Bordering in Education: Introduction. In Majhanovich, S. Fox, C. & Gök, F. (Eds.) Bordering, Re-Bordering and new Possibilities in Education and Society. Dordrecht. The Netherlands: Springer, Pp. 1-14. Majhanovich, S. & Geo-JaJa M.A. (2010). Overview and Introduction: In Geo-JaJa, M.A. & Majhanovich, S. (Eds.) Education, Language, and Economics: Growing National and Global Dilemmas. Rotterdam: Sense Publishers, pp. ix-xix. Majhanovich, S. (2008) Globalisation, Education Reforms and Immigrant Students in Canada. In: Zajda, J, Davies, L. & Majhanovich, S. (Eds.) Comparative and Global Pedagogies: Equity, Access and Democracy in Education (Vol. 2) of the Series Globalisation, Comparative Education and Policy Research. United Kingdom Lightning Source UK Ltd.: Springer, pp. 125-141. Larsen, M., Majhanovich, S. & Masemann, V. (2007). Comparative Education in Canadian Universities in Wolhuter, C. & Popov, N. (Eds.). Comparative Education as Discipline at Universities Worldwide. Sofia, Bulgaria: Bureau for Educational Services, pp. 19-30. Majhanovich, S. (2005). For the sake of language and heritage: Ontario Francophone women teachers reflect on their careers. In Coulter, R. & Harper, H. History is Hers: Women educators in Twentieth Century Ontario (pp. 75-96). Calgary: Detselig. Majhanovich, S. (2005). Educational decentralisation: Rhetoric or reality? The case of Ontario, Canada. In Zajda, J. (Ed. ), International Handbook on Globalisation, Education and Policy Research. The Netherlands: Springer, pp. 599-612. Majhanovich, S. & Deyrich, M-C. (2017). Language Learning to Support Active Social Inclusion. Issues and Challenges for Lifelong Learning. Introduction. International Review of Education. Journal of Lifelong Learning.Vol. 63.No. 4. Special Issue. Language Learning to Support Active Social Inclusion: Issues and Challenges for Lifelong Learning (Marie-Christine Deyrich & Suzanne Majhanovich, Guest Editors, pp. 435-352. Majhanovich, S. (2015). Neo-Liberalism takes hold: Educational reform in the brave new faculty of education. Educational Practice and Theory, Vol. 37:2, pp. 5-23. Majhanovich, S. & Napier, D. (2014) Lifelong learning in the new millennium. Voices from the XV World Congress of Comparative Education Societies. International Review of Education. Journal of Lifelong Learning. Vol. 60:4, pp. 449-462. Majhanovich, S. (2014) Neo-liberalism, globalization, language pllicy and practice issues in the Asia-Pacific region. Asia Pacific Journal of Education. Vol. 34:2 (June), pp. 168-183. Faez, F., Taylor, S., Majhanovich, S. Brown, P. & Smith, M. (2011) Teacher Reactions to CEFR’s task-based approach for FSL classrooms. Synergies Europe Vol. 6, pp.109-120. Li, Vickie Wai Kei & Majhanovich,Suzanne (2010). Marching on a long road. A Review of the effectiveness of the mother-tongue education policy in post-colonial Hong Kong. Columbian Journal of Bilingual Education 4: 1, 10-29. 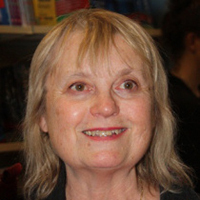 Suzanne Majhanovich (2008). Review: Comparative and International Education: An Introduction to Theory, Method and Practice by David Phillips and Michele Schweisfurth, and Comparative Education: Exploring Issues in International Context by Patricia K. Kubow and Paul R. Fossum. Comparative Education Review Vol 52:2 (May 2008), pp 292-294. Majhanovich, Suzanne & Fox, Christine, (2008). Introduction: Education and Intercultural Dialogue. Special Issue of International Review of Education 54(3-4) Edited by Suzanne Majhanovich, Christine Fox & Adila Pasalic Kreso, pp. 287-297. Larsen, Marianne, Majhanovich, Suzanne & Masemann, Vandra (2007). Comparative Education in Canadian Universities. Canadian and International Education Journal, Vol. 36:3, pp15-30. Majhanovich, S. & Zhang, L. (2007). The Comparative and International Education Society of Canada (CIESC). Canadian and International Education 36:1 (June). Expanded version of chapter cited above in Common Interests, Uncommon Goals: Histories of the World Council of Comparative Education Societies and its Members. pp. 1-14. Majhanovich, S. (2007). Pondering priorities: Reflections on the careers of three francophone women teachers in Ontario. Resources for Feminist Research, 31(3-4): 67-86. Zajda, Joseph, Majhanovich, Suzanne & Val Rust (2006). Introduction: Education and Social Justice. International Review of Education 52:1 & 2, pp. 9-22. Majhanovich, S. (2004). Degrees of freedom: We've come a long way -- or have we? Retired women teachers reflect on freedom. Oral History Forum, 24, 13-29. Davidson-Harden, A. & Majhanovich, S. (2004). Privatization in Canadian education: A survey of trends. International Review of Education, 50(3-4), 263-287. Majhanovich, S. (2004). Education decentralization: Rhetoric or reality. The case of Ontario, Canada. World Studies in Education, 5(2), (forthcoming). Majhanovich, S. (2003). Making sense of decentralization using a comparativist lens. Canadian and International Education, 32(1 June), 1-18. Majhanovich, S. & Rezai-Rashti, G. (2002). Marginalized women: Minority women teachers in twentieth century Ontario. Education and Society, 20(2), 61-72. Majhanovich, S. (2002). Conflicting visions, competing expectations: Control and de-skilling of education. A perspective from Ontario. McGill Journal of Education, 37(2), 159-176. Majhanovich, S. (2002). Change in public education: Globalization in action? The Case of Ontario, Canada. Planning and Changing. An Educational Leadership and Policy Journal. (Special Issue: Perspectives on International and Global Education), 33(1-2), 53-76. Majhanovich, S. (2001). Portrait of a multicultural cityCToronto, Canada [Duo yuan wen hua cheng shi suo ying- jia na ta duo lunduo]. Journal of World Ethno-National Studies (Shijie Minzu), 69-76. Majhanovich, S. (2000). How to kick multiculturalism in its teeth: Toward a better tomorrow with critical compassion by S. Sugunasiri. Canadian and International Education, 29(1), 105-114. Gaskell, J., Majhanovich, S., Tymchak, M. (2000, October). Post-Shapiro Review of Teacher Education in Nova Scotia. Report of the Review Team to The Nova Scotia Council on Higher Education (56 pp). Majhanovich, S., Sensevy, G. & Osborn, M. (2004, October). Report on the Mid-term site visit to review the SSHRC Major Collaborative Research Initiatives (MCRI) project, L’évolution actuelle du personnel de l’enseignement préscolaire, primaire et secondaire au Canada, directed by M. Maurice Tardif of the Université de Montréal (11 pp). Majhanovich, S. (2016, June 3) Canada’s Response to the Syrian Refugee Crisis. Easing the Transition to Integration. Presented at the CESE Congress, Glasgow, Scotland. Majhanovich, S. (2013, June 24). English as the Voice of neo-Liberal Globalization. Presented at the WCCES Congress, Buenos Aires, Argentina. Majhanovich, S. (2013, March 11). Language Hegemony in the Knowledge Economy. Presented at the CIES Conference, new Orleans. Majhanovich, S. (2012, April 24). Circulation and Transfer of Educational Ideas in Comparative Education. Presented at the CIES Conference, San Juan, Puerto Rico. Majhanovich, S. & Pitman, A. (2012, April 25). The Transformation of the University: How Globalisation drives Educational Reforms: Cases from Canada and Australia. Presented at the CIES Conference, San Juan, Puerto Rico. Majhanovich, S. & Napier, D. (2012, February 17) Considerations of Dominance, Identity and Language Issues in a Comparative Context. Presented at WCCES Symposium, National Institute of Education, Singapore. Majhanovich, S. (2011, May 4). The Fate of Humanities in a Globalized World: Examples From Canada. Presented at the Annual Comparative and International Education Society (CIES), Montreal, Canada. Majhanovich, S. Despagne, C. & Fyn, D. (2011, Mar. 24, Mar. 25) Strategies: The Compass to Language Learning. Presented at the OMLTA Spring Conference, Toronto, Ontario. Majhanovich, S. (2010, October 23) The CEFR in Ontario Schools. Presented at the OMLTA Fall Conference, Niagara Falls, Ont. Majhanovich, S. (2010, April 21) Alpplying the Common European Framework of Reference (CEFR) to support Bilingualism in Canada. Presented at the WEFLA Conference, Holguin, Cuba. Majhanovich, S. (2010, June 16) The Common European Framework of Reference as an Agent for Re-Bordering in a Globalized World. Presented at the WCCES Congress, Istanbul, Turkey. Majhanovich, S. (2010, March 2) Re-Imagining Language Education: Can the CEFR Solve Canada's Expectations for Bilingualism? Presented at the CIES Conference, Chicago, Ill.
Majhanovich, S. (2009, March 23) English as a Tool of Neo-Colonialism and globalization in Asian Contexts. Presented at CIES Conference, Charleston, S.C.
Larsen, M., Masemann, V. & Majhanovich, S. (2009, March 25). Comparative Education in Universities within North America, Europe, Greater China and Southern Africa. Presented at CIES Conference, Charleston, S.C.
Larsen, M., Majhanovich, S. & Masemann, V. (2008, June 2). Comparative Education in Canadian Universities. Presented at CIESC/CSSE Conference, UBC. Majhanovich, S. (2008, May 19) Teaching English in the Asian Context. Presented at the Communications University of China, Beijing, PRC. Same paper also presented May 15 at Liaoning Normal University, Dalian, PRC. Majhanovich, S. (2008, April 22) Language Policies and Identity Formation in Canada. Presented at WEFLA Conference, Holguin/Guardalavaca, Cuba. Majhanovich, S. (2008, March 18). Comparative Education in Canadian Universities. Presented as part of panel on CE in Universities worldwide at CIES conference, Columbia University, New York. Majhanovich, S. (2008, January 11) Foreign Language Instruction in Post-Colonial Nations. Presented at Conference on South East Asian Education, Siem Reap, Cambodia. Majhanovich, S. (2007, February 28) Diversity? Of course, but...Linguistic and educational policies and their impact on minority students. Presented at CIES Conference in Baltimore, Maryland. Majhanovich, s. (2007, March 1) National Identity, Multiculturalism and Language Policies. Presented at CIES Conference in Baltimore, Maryland. Majhanovich, S. (2006, May 27) “Recent Quebecois Adolescent Fiction: The Power of the Land” presented at CIESC/CSSE Conference, York University, Toronto. Majhanovich, S. (2006, March 18). “Young Adult Fiction in Francophone Canada.” Paper presented at the 50th Annual conference of the Comparative and International Education society. Honolulu, Hawai’i. Majhanovich, S. (2006, March 14). “Recent Developments in Decentralization in Education in Canada.” Paper presented at the 50th Annual Conference of the Comparative and International Education Society, Honolulu, Hawaii. Majhanovich, S. (2006, February 4). “Decentralization of Education: Promising Initiative or Problematic Notion?” Paper presented at the Mediterranean Society of Comparative Education (MESCE) Conference, Alexandria, Egypt. Majhanovich, S. (2005, May 28). “A Journey of Exploration. A History of the CIESC.” Presented at the CSSE/CIESC Conference, London, Ontario. Majhanovich, S. (2005, March 24). “The History of the Comparative & International Education society of Canada.” Presented at the 49th Annual Conference of the Comparative and International Education Society, Stanford, California. Majhanovich, S. (2005, March 23). “Development and Privatization in Education in Canada.” Presented at the 49th Annual Conference of the Comparative and International Education Society, Stanford, California. Majhanovich, S. (2004, December 4). Keynote address. Immigrant students and Canadian education: Compromised hopes. Presented at the 32nd Conference of the Australian and New Zealand Comparative and International Education Society, Melbourne, Australia. Zhang, L. & Majhanovich, S. (2004, October 28). "A Journey of exploration. A brief history of CIESC." 12th World Congress of Comparative Education Societies. Havana, Cuba. Majhanovich, S. (2004, May 29). Panel organizer CIESC: The growth of privatization in Ontario education. Paper entitled Education in Ontario: Public right or private opportunity. Smith, M. & Majhanovich, S. (2004, April 23). "Web-based foreign language teacher education courses: A review of the Althouse Faculty of Education experience," WEFLA Conference, Holguin, Cuba. Majhanovich, S. (2004, March 9). Panel organizer of "Degrees of Freedom: Women Teachers in Twentieth Century Ontario." Paper entitled We've come a long way--Or have we? Retired women teachers reflect on freedom. Presented at Comparative and International Education Society Conference, Salt Lake City, Utah. Majhanovich, S. (2004, March 10). Panel organizer of "Educational Restructuring: An Invitation to Privatization?" Paper entitled Education in Ontario: Public trust--Private target?. Presented at Comparative and International Education Society Conference, Salt Lake City, Utah. Majhanovich, S. (2004, March 11). Development and Privatization in Education in Canada. Paper presented at Comparative and International Education Society Conference, Salt Lake City, Utah. Majhanovich, S., Varpalotai, A. & Rezai-Rashti, G. (2004, February 6). Faculty lecture presentation of the history of women teachers in twentieth century Ontario project. Majhanovich, S. (2003, May). Keynote address: Making Sense of Decentralization Using a Comparativist Lens. Presented at CSSE Conference,Halifax, Nova Scotia. Majhanovich, S. "Teacher Education in Ontario, Canada: Meeting the Standards of Practice." Keynote address at the 2002 China-Canada-Korea Teacher Education Seminar, Nanjing Xiaozhuang College, Nanjing, PRC, June 14, 2002. Majhanovich, S. & Rezai-Rashti, G. "Intersection of race, class, religion, and culture in the lives on women teachers in 20th century Ontario." Paper presented at CSSE/CIESC conference, May 25, 2002. Majhanovich, S. & Rezai-Rashti, G. "Marginalized Women? Visible Minority Women Teachers Constructing Their Identity." Paper presented at 46th Annual Meeting of the Comparative and International Education Conference (CIES), Orlando, Florida, March 6, 2002. Majhanovich, S. (2001, July 3). Doubly Marginalized: Francophone Women Teachers in Ontario, Canada. Paper presented at the 11th World Congress of Comparative Education Societies, Cheongju, Korea. Majhanovich, S. (2001, March 22). Conflicting Visions, Competing Expectations: Control and De-Skilling of Education: A Perspective from Ontario, Canada. Paper presented at the Comparative and International Education Society Conference, Washington, DC. Majhanovich, S. (2000, October 14). Francophone and Female: Teaching Struggles in Ontario. Paper presented at the CHEA/ACHE (Canadian History of Education Association) Conference in the session Women and Teaching. Majhanovich, S. (2000, July 25). Portrait of a Multicultural City - Toronto, Canada. Paper presented at the IUAES Inter-Congress on Metropolitan Ethnic Cultures, Beijing, PRC. Majhanovich, S. (2000, May 27). A Question of Language: Francophone Teachers in Ontario's Schools 1930-1980. Presented as part of CASWE 2000 International Institute in the Session Ambivalence and Identity: Women Teachers in Ontario 1930-1980, Edmonton, Alberta. Majhanovich, S. (2000, May 25). Conflicting Visions, Competing Expectations: Control and Deskilling of EducationCA Perspective from Ontario. Paper presented at CSSE/CIESC Conference, Edmonton, Alberta. Majhanovich, S. (2000, April 27). Bittersweet Memories: Retired Women French Teachers Reflect on Their Careers. Part of Roundtable presentation "Threatening Women Teachers: Stories of Women Teachers Living at the Margins" presented at AERA Conference, New Orleans. Majhanovich, S., & Smith, M. (1999, June 10). The Influence of Private and Public Domains in Delivering ESL Programs in Mexico. Paper presented at CSSE/CIESC Conference, Sherbrooke, Quebec. Majhanovich, S. (1999, May 19). Teaching Second Languages: New Approaches and Perspectives. Presentation to Faculty of Education Professors of the Pontificia Universidad Catolica del Peru, Lima, Peru. Majhanovich, S. (1999, May 18). Theoretical Approaches to Second/Foreign Languages Teaching. Presentation to Faculty and ESL Teacher Candidates at Instituto Pedagogica Nacional Monterrico, Lima, Peru. Majhanovich, S. (1999, May 17). Second Language Teacher Education in Ontario, Canada. Presentation to professors of School of Foreign Languages at Pontificia Universidad Catolica del Peru, Lima, Peru. Majhanovich, S. (1998, July 16). Conflicting Visions, Competing Expectations: Ontario Schools on the Eve of the 21st Century. Paper presented at the 10th World Congress of Comparative Education Societies, Cape Town, South Africa. 2009 Yi Lin, Investigating Role-Play Implementation: A Multiple Case Study on Chinese EFL Teachers using Role-Play in their Secondary Classrooms (Joint PhD student, University of Windsor; co-supervisor with Dr. Kara Smith from the University of Windsor). 2008 Mohsen Mahmoudi, Adult Iranian University Students' Perceptions of Social Interactions in Canada. 2006 Jing Chen, Bilingualism Among Children Adopted from China. 2006 Colleen Kearns, The Case of the Grade 3 EQAO mathématiques assessment: issues, concerns, expectations. 2006 Hongfang Yu, How did They Make It? Exploring the Success of Two High-Achieving Immigrant Elementary School Students. 2006 Sophia Katsios, Improving Writing Skills of Grade 6 Immersion Students. An Action Research Project. 2005 Anne van Gilst, ESL Conversation Circles: Roles effects on Interaction and Language Learning. +23 other MEd theses prior to 2000 and 23 Directed Research Projects completed.